You know how the extrajudicial killings of Trayvon Martin, Mike Brown, and Philando Castile moved so many of us to action—whether it was creating art, taking to the streets, or being more involved civically? Right. Well, there was another turning point in American history that spurned some to action as well, even though to most, that “incident” was a good thing, a beautiful thing, even. The 2008 presidential election of Barack Hussein Obama struck fear into the hearts of small men, and, according to a new film, Rigged: The Voter Suppression Playbook, supercharged efforts to make it that much harder for those who elected Obama to vote, ostensibly ensuring that something like that never happened again. 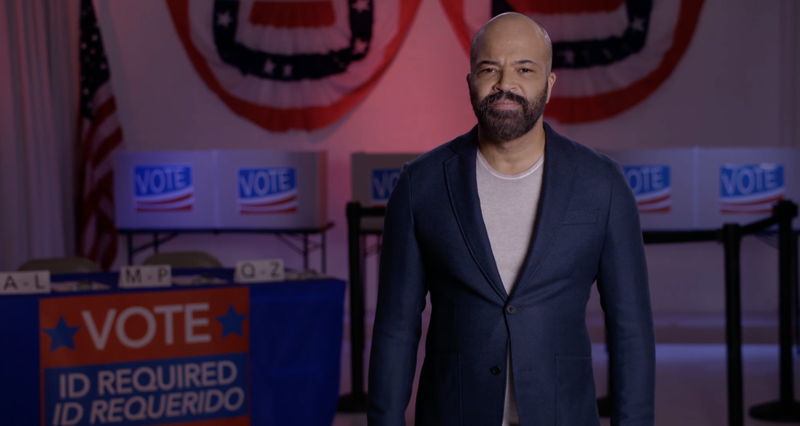 Narrated by outspoken actor Jeffrey Wright, Rigged follows the recent trajectory of voter suppression in the United States, and outlines a voter suppression playbook, which outlines at least 10 ways certain players are putting forth a concerted, well-funded effort to disenfranchise voters and maintain power— from purging voter rolls, to Voter ID laws, to “cracking and packing” congressional districts to consolidate power for one group or break up power for another. At this point, we’ve seen voter suppression in real time, most recently with the gubernatorial election of Brian Kemp over Stacey Abrams in Georgia. Rigged takes a macro and on-the-ground view of these exploits, and frankly, it is scary from all angles. One of the most compelling aspects of the film is how producers show a vast landscape of voter suppression efforts comprised of organizations like the American Legislative Exchange Council (ALEC), Americans for Prosperity, the Heritage Foundation, and the Federalist Society, funded by big donors like the Koch Brothers. That, coupled with conservative media, has produced a multi-pronged approach to voter suppression—and the rub is—it’s working. “As we made this film, we have become aware of the what we call the eco-system of voter suppression, which is an integrated chain of funders, quasi-academics, drafters of legislation, recruiters of candidates, messaging shops, etc., and the best example we have in the film is Project Redmap, which was to use money and messaging to take over the state legislatures in 2010,” says Heller. Speaking of the judiciary, the Trump administration is packing the courts with young, conservative ideologues (the new administration has appointed more federal judges in the first two years than any other) to affect outcomes around voting for years to come. Most of Trump’s cockamamie ideas (the “Muslim ban,” separating children from their parents at the border, rolling back Obamacare and Medicaid) have been checked by the courts, but what happens in 10 years when that unbridled power is unchecked? Fortunately, Rigged shows that federal courts have been swatting these egregious laws down, but the filmmakers caution that we must remain vigilant, especially at the state court level, which they warn is becoming much more partisan. “So for instance, in North Carolina, in 2018, the federal court struck down their voter ID law in 2016, and now [lawmakers] have got another amendment on the ballot to restore it, which they did,” said Smith. Which shows that when the people step up, it does make a difference—either way. For more information on voter suppression and ways you can fight it, or to host a screening go to www.riggedthefilm.com. Rigged is now available for purchase on iTunes, Amazon and Google Play.